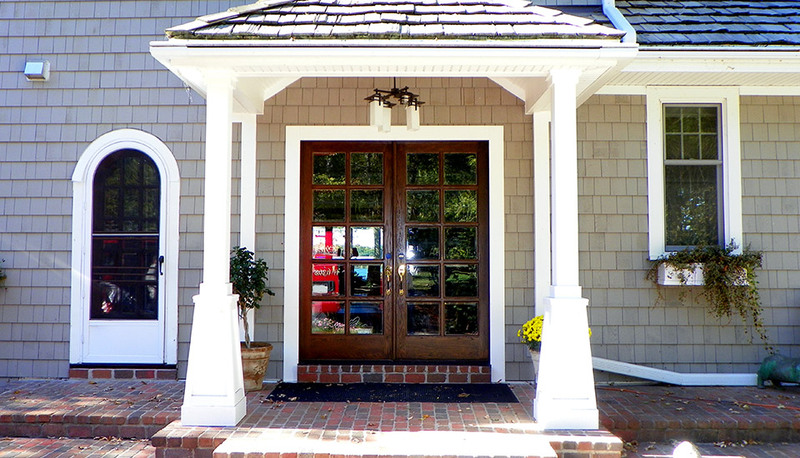 Our clients on Okauchee Lake had an exterior entryway that they wanted to update by creating a covered space over the door. 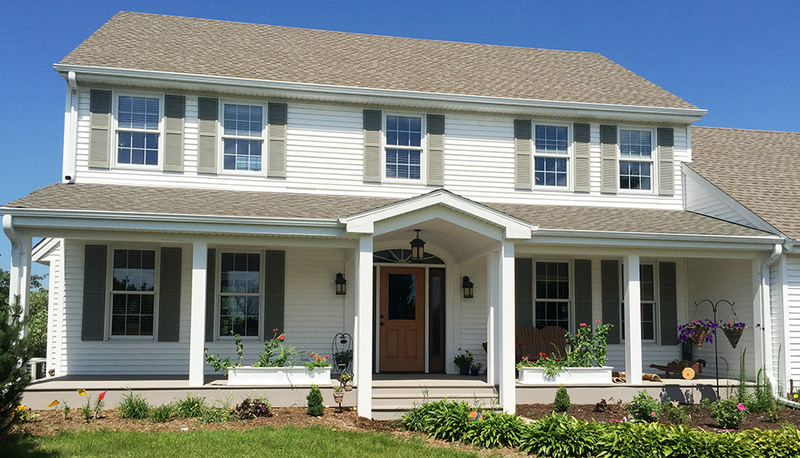 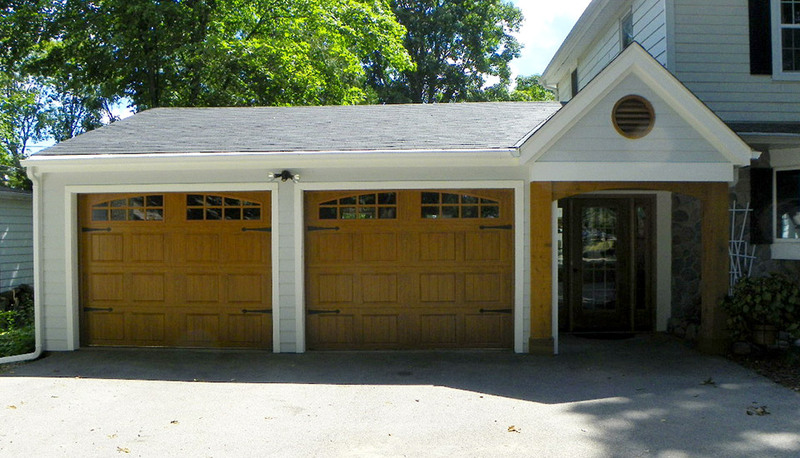 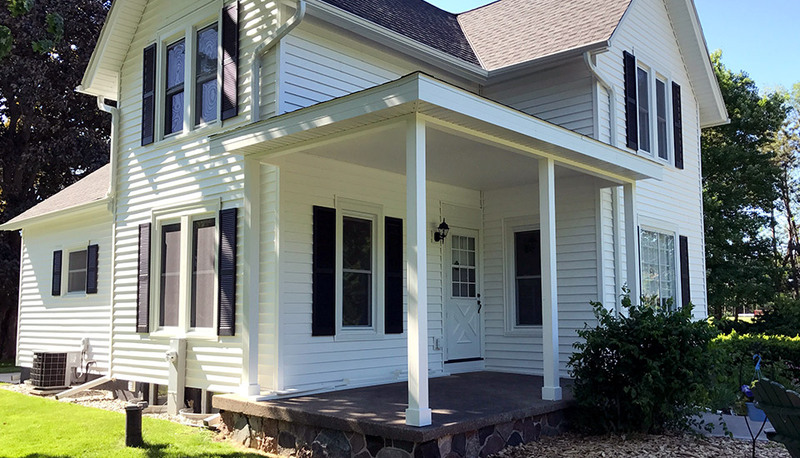 We began by adding a gable roof with a full column on one side and an aesthetic column on the other side, connected to the front of the attached garage for symmetry. 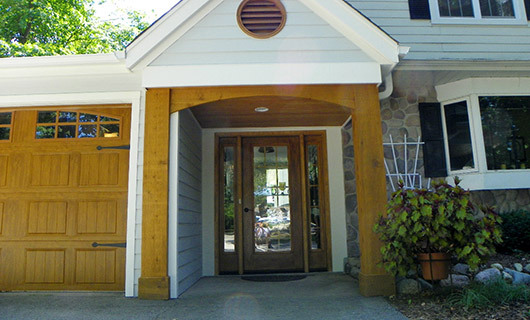 We included white trim and a beautiful, circular wooden ventilation window on the front façade of the roof. 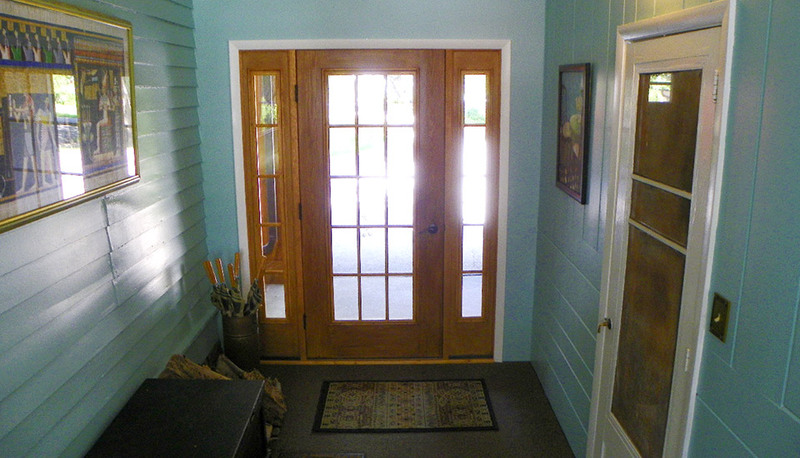 We completed the space with cedar wainscoting, a brand-new light fixture, and a custom-stained Therma Tru fiberglass entry door. 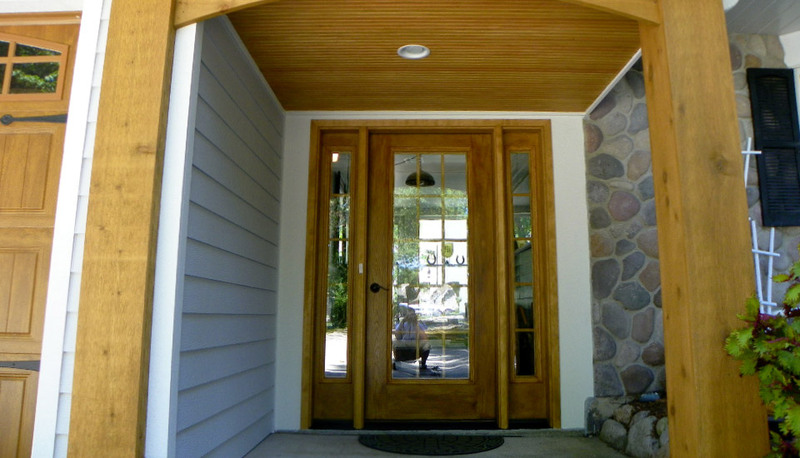 The new entryway seamlessly connects the attached garage to the rest of the home while adding a beautiful and interesting visual component to the exterior of the house.